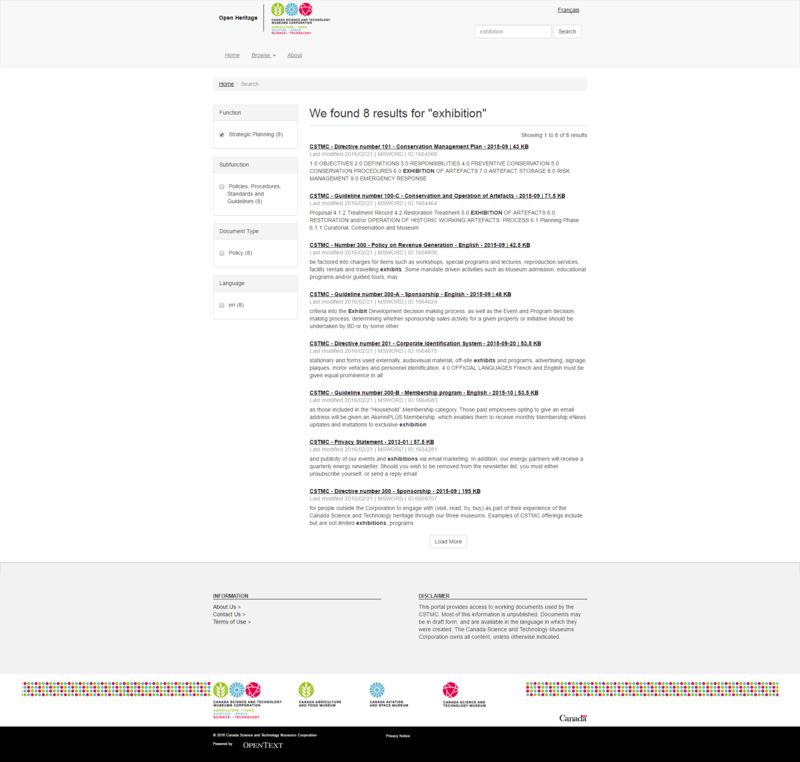 Note: It is important to note that the impact of this initiative does not come from its design or visual appeal, but from the purpose it achieves: To allow the public to have access to the Museums’ internal documents and valuable unpublished information with the aim of fostering participatory heritage, allowing citizens to better engage with the CSTMC and its work. It is also the first national museum in Canada to accomplish this. Historically, museums have provided “expert” interpretation of public history, and have acted as the hyper-authority in their related fields; however, digital disruption and social media have transformed expectations. The public now expects to have an open connection and dialogue with institutions, and increasingly expect to play a significant role in the decision-making process. Museums are turning this disruption into an opportunity to remain relevant by moving towards shared authority and a transparent and participatory approach. The Canada Science and Technology Museums Corporation (CSTMC) is playing an active part in this “open” movement. Releasing its collection of artifacts (Open Data), having discussions on social media, broadcasting its all-staff meetings, and the new Open Heritage initiative are some of the mediums it uses to involve and to connect with the public during its everyday operations. 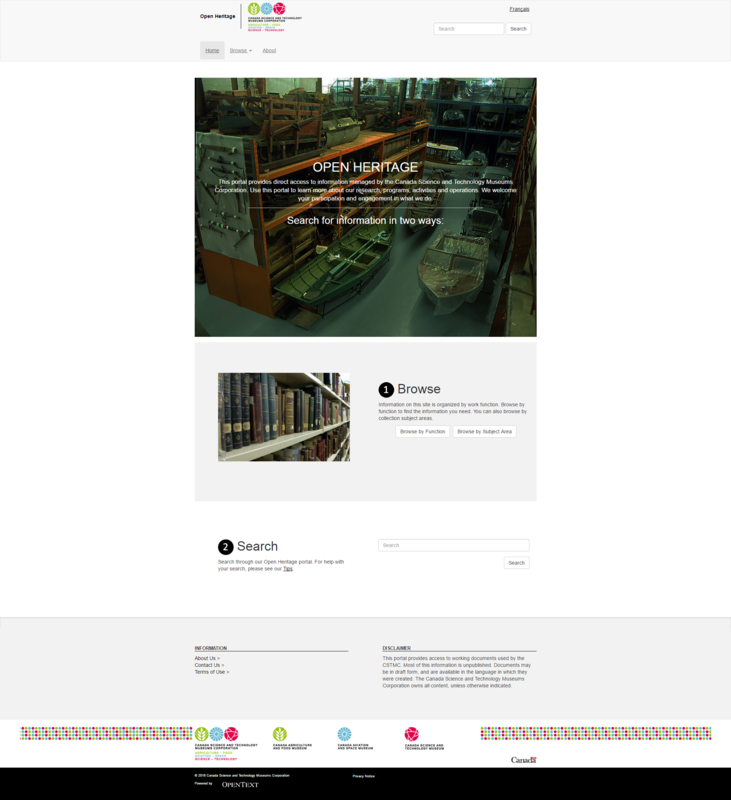 The Open Heritage platform provides direct, open access to the CSTMC’s internal documents, such as research, exhibition documents and other information assets created and used by the CSTMC in the course of carrying out its work. 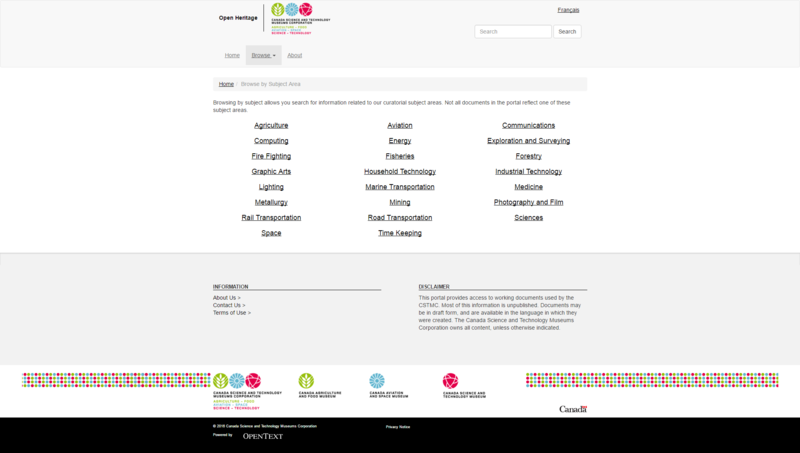 The platform provides access to knowledge that it holds in trust for all Canadians, in keeping with its mandate to develop a national collection and foster a science culture, and is providing access to information assets that demonstrate and support decision making, in the spirit of the Government of Canada’s agenda for openness and transparency. CSTMC aims to achieve a work culture where information holdings are shared on the principle of “open by default.” CSTMC staff are empowered to share directly from the electronic document management system that they use every day to manage their working documents. 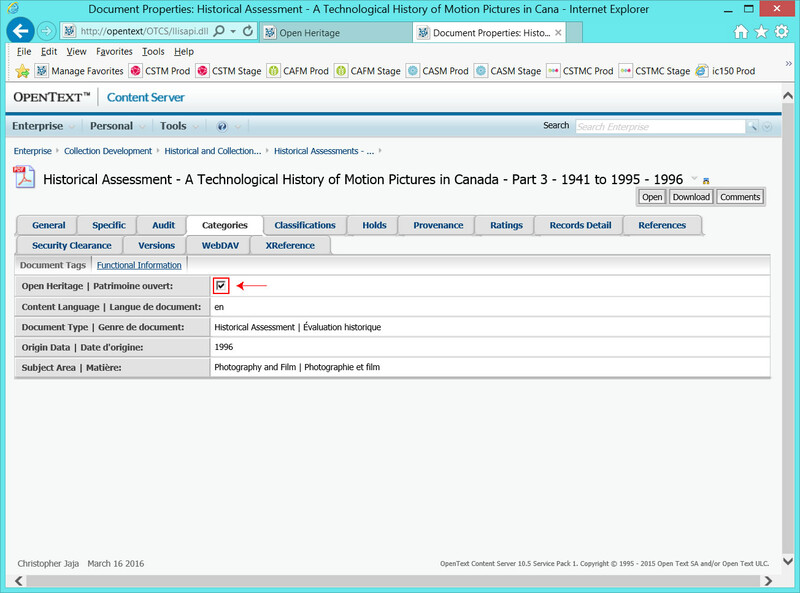 The Open Heritage platform was developed with several key users in mind: researchers, including academics, authors and publishers, who can benefit from direct access to unique, unpublished information; museum professionals, who have direct access to working documents from a family of national museums; “Curious Canadians,” the persona for subject matter enthusiast who are hungry for in-depth knowledge on a range of topics; and educators, both formal and informal, who can benefit from direct access to educational materials while they are in development, and can engage with us on helping to shape resources produced by the Museums.